Something Rotten! played its last performance on January 1, 2017. In 1590, two aspiring playwrights are trying to get out of the shadow of “The Bard.” When a soothsayer tells them the future of theatre is singing and dancing, they decide to write the world’s first musical. General Rush – Rush tickets are available at the box office on the day of the performance for $35. Limit 2 tickets per person. Student Tickets – Student discounted tickets are available strictly through Tix4Students (membership required, up to 2 tickets per member). 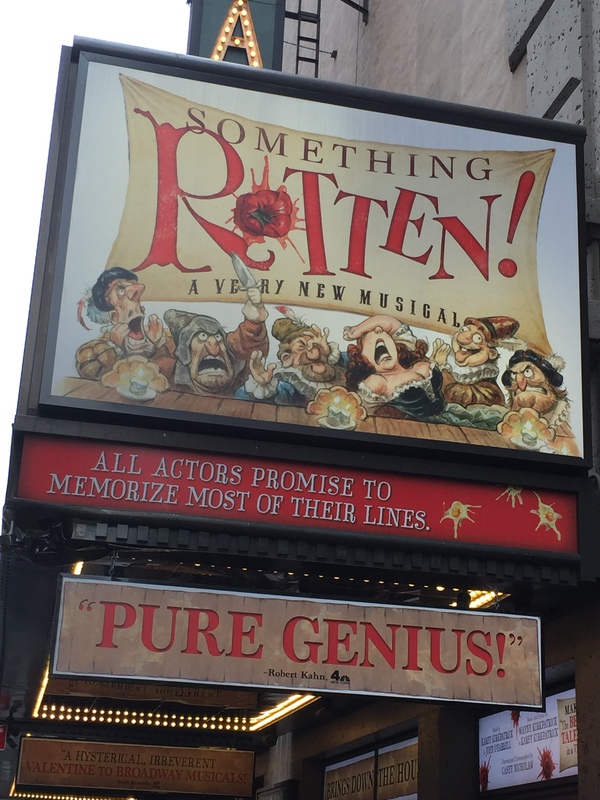 Online Lottery – Something Rotten is hosting their own online ticket lottery. Full details can be found here.